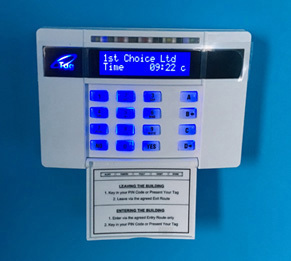 Premium quality alarm systems for Milton Keynes businesses, brought to you by the experts at 1st Choice Security Systems. Since 2005, we’ve specialised in the design and installation of bespoke commercial alarm systems in Milton Keynes, serving a variety of industrial and commercial customers across the region. If looking to benefit from the kind of reliable intruder alarm system that guarantees total peace of mind, get in touch with a member of the 1st Choice Security Systems customer service team today. If looking to take a stand against criminal entities at work across Milton Keynes, you’ve come to the right place. 1st Choice Security Systems specialises in cutting-edge intruder alarm installations for businesses at every level, creating bespoke solutions in accordance with the exact needs of each client individually. What makes the difference with our Milton Keynes intruder alarm systems is our unique attention to detail. Rather than providing a standard selection of alarms and security systems for commercial and industrial premises, we instead design comprehensive security solutions from scratch. By taking into account every important aspect of the premises in question, we’re able to devise, develop and deliver the most extraordinary intruder alarm system that guarantees unbeatable peace of mind. 1st Choice Security Systems covers all preferences and requirements from top to bottom. For businesses looking to improve security with a relatively basic intruder detection and alarm system, we can help. If you’d prefer to have your premises watched over with a monitored alarm system and comprehensive CCTV coverage, we can make it happen. 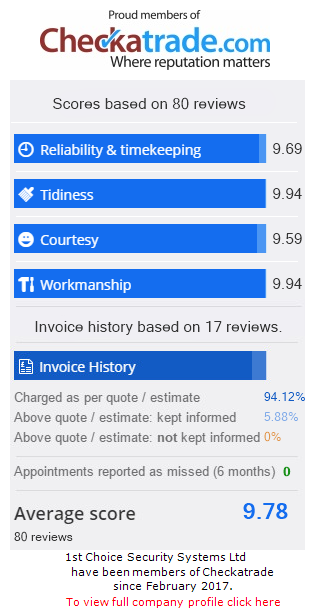 Simply contact the 1st Choice Security Systems to arrange a consultation and discuss your requirements in detail. Whatever it takes to step up the security of your premises immediately and for the long-term, we’re standing by to take your call. It’s worth remembering that the very best Milton Keynes intruder alarm systems aren’t simply about detecting unauthorised entry and identifying those responsible. Instead, an outstanding security system covering your entire premises has the potential to serve as the most powerful deterrent imaginable. This means that your business immediately and permanently becomes a much less attractive target. Criminals are opportunists will take every opportunity they come across to exploit security flaws where detected. Rather than running the risk of falling victim to crime, it pays to take a proactive approach – protect your building with a quality intruder alarm system, designed and installed exclusively for your business.